Description: Demonstrations associated with Freedom Day, January 22, 1964, Hattiesburg (Miss.). Bobbie Jean Evans, Palmer's Crossing, Forrest County. 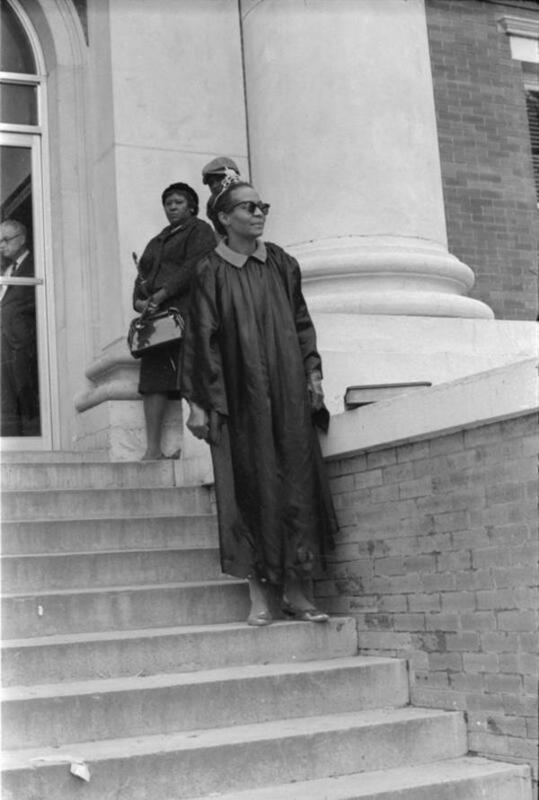 Pictured and identified in January 25, 1964, Hattiesburg American newspaper article as praying that morning on courthouse steps for demonstrators.